No one can really pin down how the animosity began. 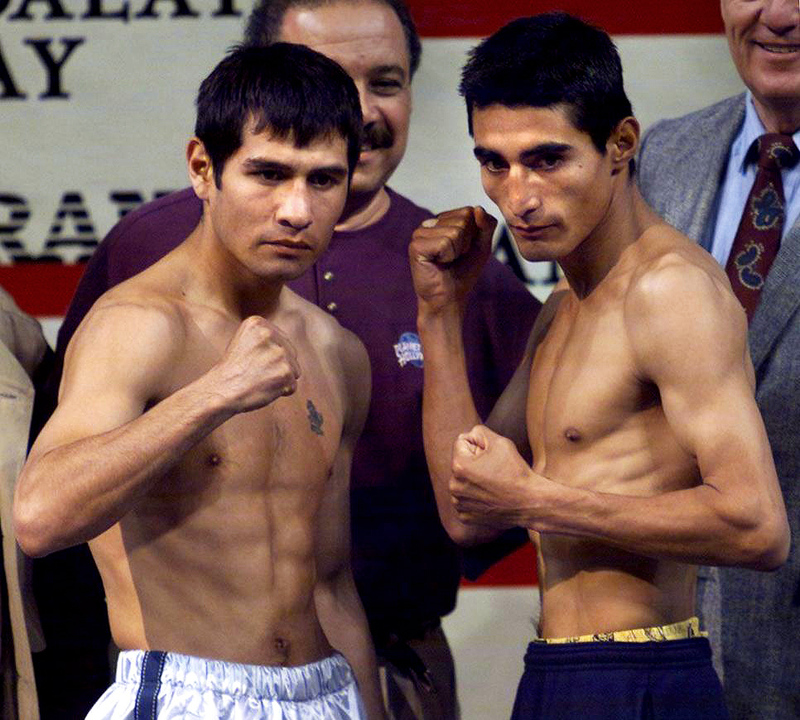 Perhaps it was a regional rivalry with Erik Morales hailing from the working class region of Zona Norte, Tijuana while Marco Antonio Barrera came from the more genteel environs of Mexico City. Perhaps it was a rivalry four years in the making as Barrera ruled the super bantamweight division when Morales was still proving his worth. Or maybe it was more about the race to be regarded as the next Mexican boxing icon as Julio Cesar Chavez’s legendary career neared its end. Whatever the reason, the genuine hatred between both Hall of Famers was real, expectations were high, and what transpired on that February night at the Mandalay Bay set the tone for the two clashes which followed. 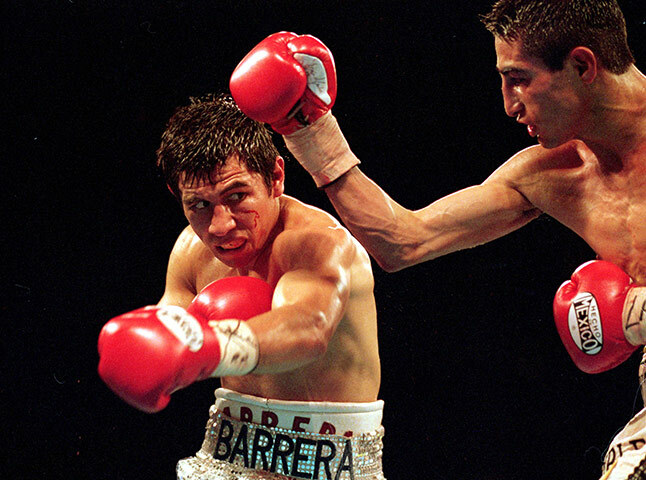 In the mid-90s, Barrera was making his mark as one of the greatest Mexicans to ever fight in the lower weight divisions. He had won the WBO super bantamweight title by defeating Puerto Rico’s Daniel Jimenez and had defended the belt eight times, including a memorable war against Kennedy McKinney in the first ever broadcast of HBO After Dark. His undefeated streak was halted when he lost to Junior Jones, in a bout where Barrera was soundly beaten. He would also go on to lose the rematch five months later. 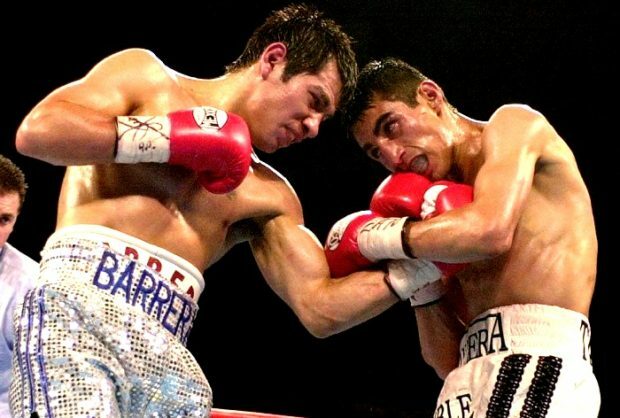 Once hailed as the heir apparent to Julio Cesar Chavez, many viewed Barrera as a fading champion following his losses to Jones, thus making him the clear underdog going into the Morales match. Meanwhile, Morales was the reigning super bantamweight champion, the same title Barrera had defended until he ran into Junior Jones. The 23-year-old Morales quickly climbed up the rankings, demonstrating strong boxing acumen and power, as well as the viciousness to make use of both. He had amassed a record of 35 wins with no defeats, including an 11 round dismantlement of Mexican great Daniel Zaragoza and a four round beatdown of Barrera’s conqueror, Junior Jones. At the opening bell, Barrera started out aggressively, holding his ground in the middle of the ring, knocking Morales back against the ropes with body shots and hard combinations topped by a fierce left hook. Forced on his heels, his back pinned to the ropes, Morales fought fire with fire. It was three minutes of hectic action and when the bell rang to end it, the fight had already lived up to everyone’s expectations. In the rounds that followed Morales proved an easy target as Barrera punished him with one-two combinations upstairs and heavy body punches. Morales tried to use his boxing skills but it wasn’t long before he was engulfed in a straight-up, power-punching slugfest. The see-saw action culminated in a dazzling fifth round that would later be crowned Round of the Year by Ring Magazine. In its first half, Morales landed a series of right hands, forcing Barrera to cover up as he was staggered from the assault, before “The Baby Faced Assassin” turned the tide with a right hand of his own. In the final minute, both men kept exchanging power punches with whatever strength they could muster. It was thrilling action and a round that would go down as a classic in their three fight saga. In the second half of the battle, Barrera, seemingly losing some steam, still managed to keep the pressure on, landing the harder blows, while Morales stayed more active and connected with crisper, more eye-catching combinations. Early in the ninth, a hard left hook from Barrera hurt Morales who retreated before gathering himself and rallying back with a combination that left a cut under Barrera’s eye. Having gone on to dominate the second half of the round, an overconfident Morales lunged in with a right hand only to be met with a devastating three punch combination from Barrera. Luckily for Morales, the bell sounded to end another action-packed stanza. Dead even going into the championship rounds, both fighters emptied their arsenals of everything they had left. Morales continued to land thudding right hands, only to be countered with hard left hooks from Barrera. By now the sustained violence was taking a visible toll as the visages of both men were misshapen and swollen. With everything on the line going into the final round, the two warriors came out firing. Morales, with a burst of energy, bounced on his toes, looking for the opening to get home another crisp right hand. 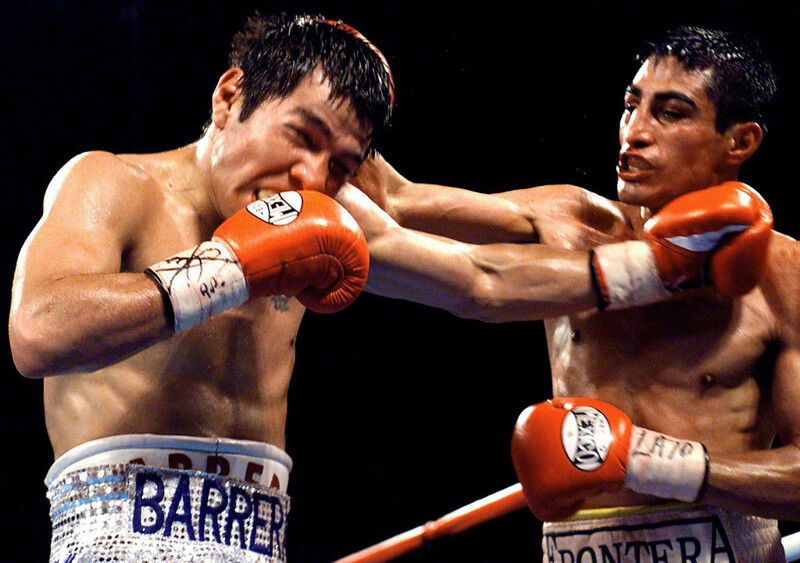 Instead a trademark Barrera left hook landed, staggering Morales, the ropes helping him to stay upright. As Barrera moved in to finish, Morales slipped to the canvas, but it was mistakenly called a knockdown by the referee. When the fight resumed, both men exchanged punches down the stretch at close quarters, providing a dramatic ending to a dramatic fight. In a minor controversy, the judge’s scorecards credited Morales with a split decision win while most ringsiders in fact favored Barrera’s power punching over Morales’ activity. But this of course would only set the scene for the next two bouts, all three battles comprising one of the greatest trilogies in the history of boxing. I love this fight and it lived up to expectations. That counter combination at the end of the 9th round by Barrera still gives me goose bumps everytime I see it. I hope Frampton and Quigg can give us memories of this fight in a week. I hope so. Both Frampton and Quigg haven’t proven to be as good as Barrera or Morales. Their fight however could be the start of a great set of fights at 122. The best fight I ever saw, technical and brutal.